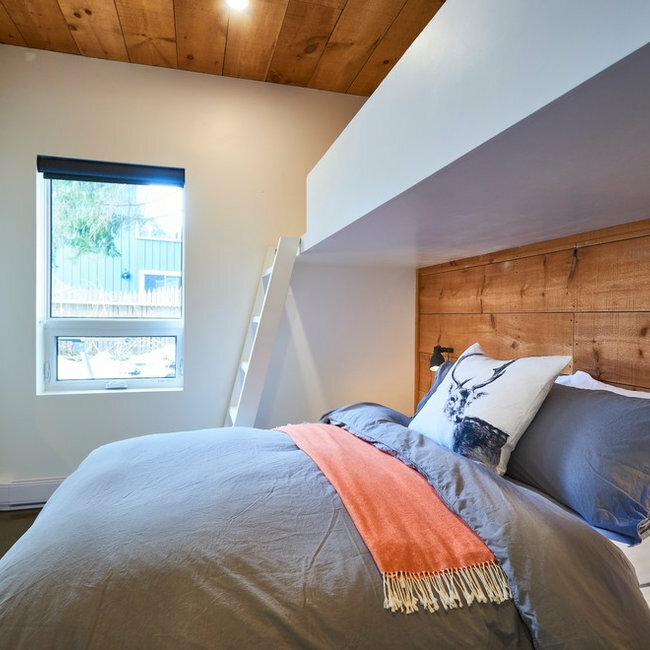 This popular Airbnb suite is located at the base of Blue Mountain in Ontario. Once part of a dated ski chalet, we turned this cozy space into a Scandinavian-inspired holiday retreat. We took advantage of the existing features: concrete floors that we had polished, and rustic barn board that we repositioned to create focal points and warmth. A contemporary fireplace, natural materials and soft textiles work to soften and balance out the space. Once known to locals as “The Prison”, this 1980s ski chalet underwent a complete transformation in 2016. Prior to renovating, the interior was dark and cramped. It featured navy blue carpeted walls, tiny windows covered in wood shutters and three kitchens of rough pine construction with an old-world, Eastern European feel. We wanted to open up the space, fill it with light and take advantage of the stunning mountain vistas. The result is a Nordic-infused, open-concept and contemporary space with a casual aspect, suited to the young family who live here. 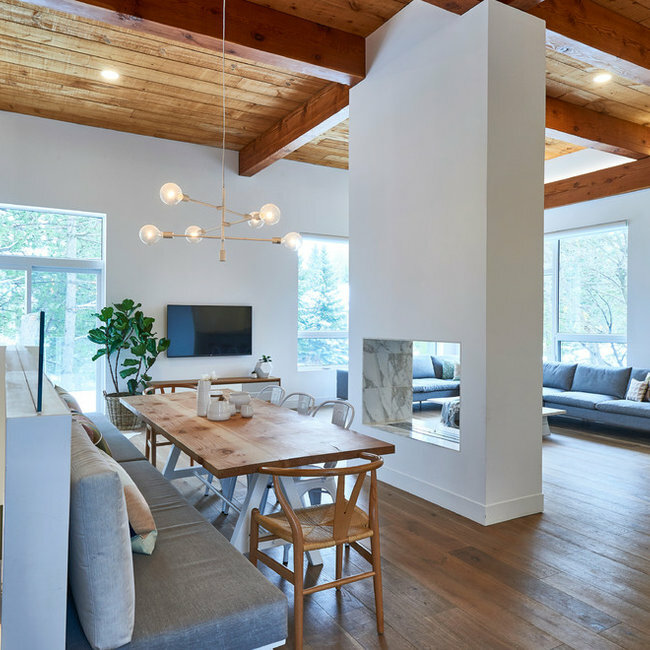 We incorporated repurposed barn board and existing wood beams to keep the chalet feel. 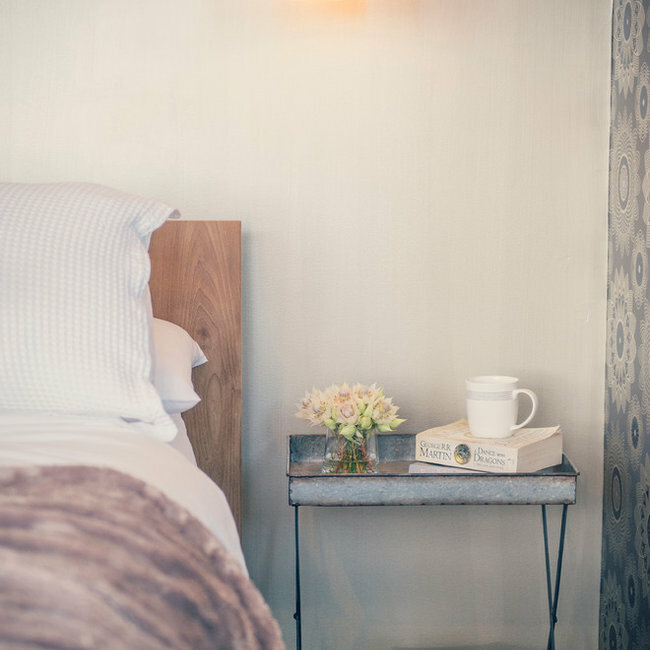 Modern elements were juxtaposed against rustic materials to create warmth and balance throughout. Contemporary accents including marble, glass and mixed metals work alongside bold light pieces to add drama and character to the space. 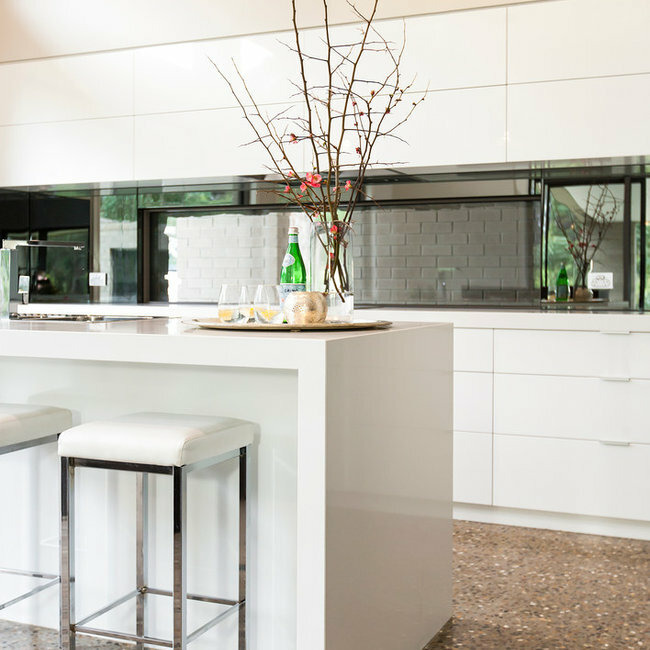 The homeowners requested a fresh, modern and functional kitchen/dining area that could handle the next 10 years and suit a busy family lifestyle. We kept the original timber architraves for warmth and added hexagonal mosaic tiles to respect the home's 1970s origin. Sharp white cabinetry and counter tops contrast against oak flooring, while a large Coco Flip pendant light by Kate Stokes acts as a dramatic focal point. This renovation began as the result of a new addition to the family. 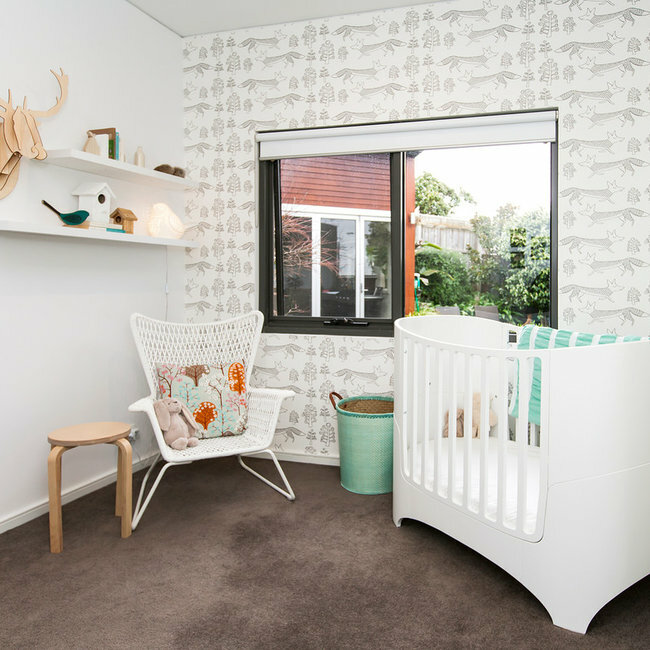 We turned an old sitting room into a Danish-inspired nursery and then updated the adjacent bathroom and living spaces to reflect the owner’s personal taste and style. Inclusions: bespoke furniture, lighting and wallpaper. Sleek, architectural and modern, this new home features a combination of glossy, metallic surfaces and welcoming timber and stone elements. Custom polished concrete floors, raked ceilings, floor-to-ceiling windows and indoor-outdoor living areas complete the design. An extension to the rear of this 1925 California Bungalow included a new kitchen, toy room, upstairs bathroom and bedrooms. 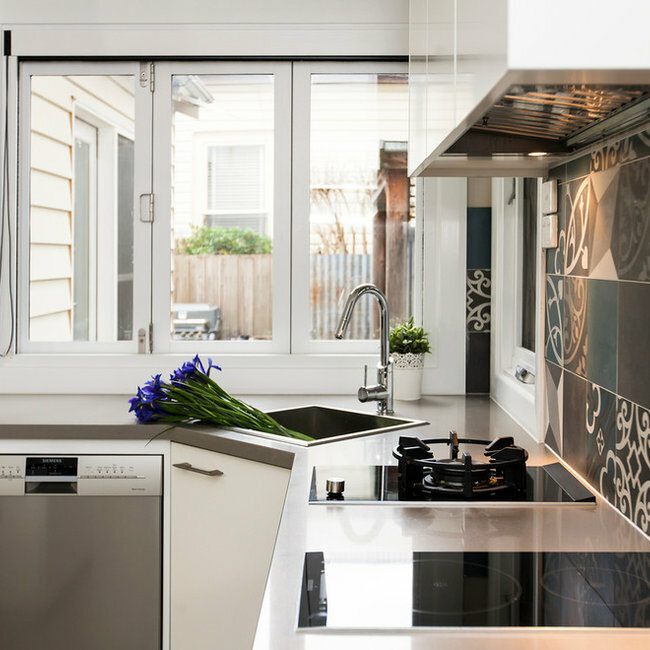 The clients requested an eclectic, easy-to-clean and central kitchen with indoor-outdoor functionality and plenty of storage. To accommodate these requests we incorporated concrete floors for easy maintenance, a servery window to the BBQ area outside, walk-in pantry for storage and a combination of Deco French doors and retro-feel splashback tiles. The result? 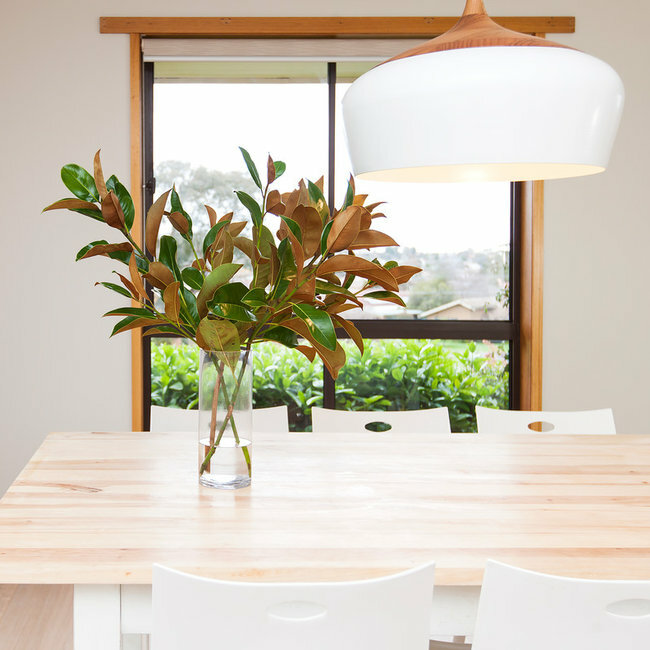 A versatile family space, with plenty of warmth and natural light. An inner city sanctuary was requested for this home renovation and styling project in Ballarat, Australia. The work was completed in three stages and included landscaping of the front yard, construction of an external year-round living/entertaining space, and redecoration of the master bedroom. A spacious and light-filled open plan environment was requested as part of the design brief for this contemporary ‘entertainer’ home located north west of Ballarat, Victoria. The exterior colour palette was selected to blend the home into its natural environment, while internally rusty oranges and gum-leaf greens blurred the line between outdoors and in. 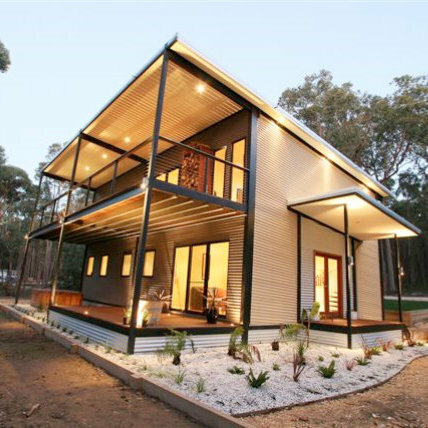 Sustainable materials were used wherever possible, including recycled timbers and metals. 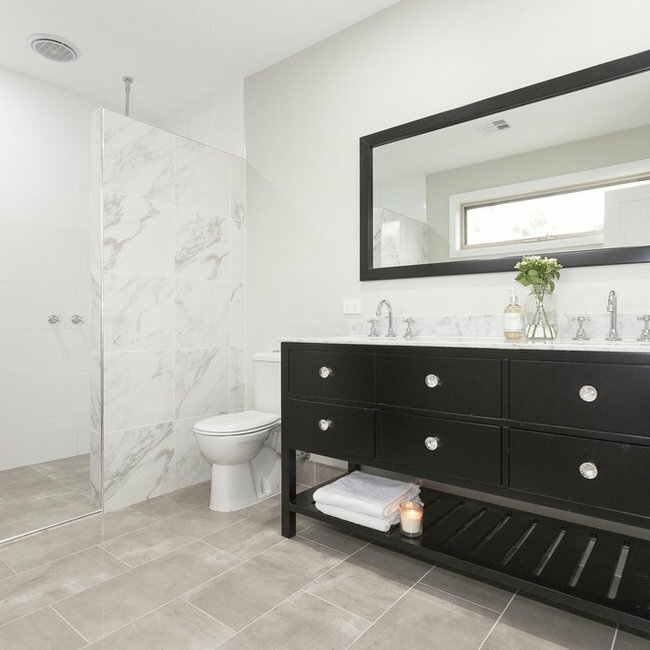 This elegant renovation included a master bedroom, ensuite and family bathroom. Using a transitional aesthetic, rooms were transformed using marble and slate tile, custom bathroom furniture and classic fixtures.